All Time Low and A Rocket to the Moon Concert in Jakarta - Ticket Price and Venue has been Announced! 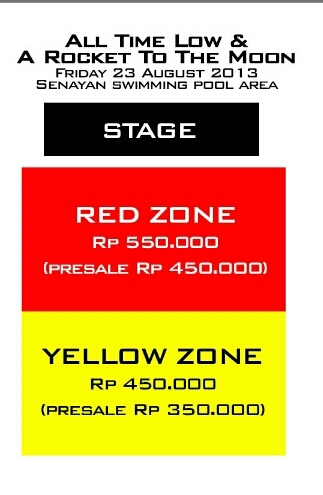 Presale will be started on 9 June 2013. For more information, you could follow JAVAmusikindo on Twitter (@JAVAmusikindo).